Fever, headache, toothache, earache, bodyache, myalgia, dysmenorrhoea, neuralgia and sprains. Colic pain, back pain, chronic pain of cancer, inflammatory pain, and post-vaccination pain and fever of children. Rheumatism and osteoarthritic pain & stiffness of joints in fingers, hips, knees, wrists, elbows, feet, ankles and top & bottom of the spine. Tablet: Adults 1-2 tablets every 4 to 6 hours up to a maximum of 4g (8 tablets) daily. Children (6-12 years) 1/2 to 1 tablet 3 to 4 times daily. Syrup and Suspension: Children (3 months to below 1 year) 1/2 to 1 teaspoonful 3 to 4 times daily. Children (1-5 years) 1-2 teaspoonful 3 to 4 times daily. Children (6-12 years) 2-4 teaspoonful 3 to 4 times daily. Adults: 4-8 teaspoonful 3 to 4 times daily. Paediatric Drops: Children (0-3 months): 0.5 ml. Children (4 to 11 months) 1.0 ml. Children (1 to 2 years) 1.5 ml. Dose can be repeated, every 4 hours. Suppository: Suppository should be administered rectaly. Children (3 months - 1 year) 60-120 mg 4 times daily. Children below (5 years) 125-250 mg, 4 times daily. Children (6-12 years) 250-500 mg, 4 times daily. Adults and children over (12 years) 0.5-1 mg, 4 times daily. 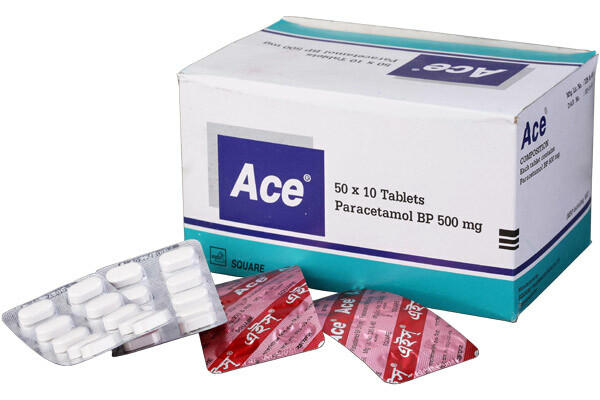 Ace® Tablet: Each box contains 500 tablets in blister pack. 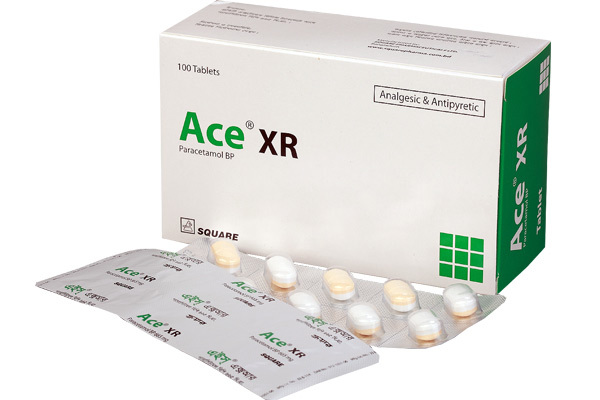 Ace® XR Tablet: Each box contains 100 tablets in blister pack. 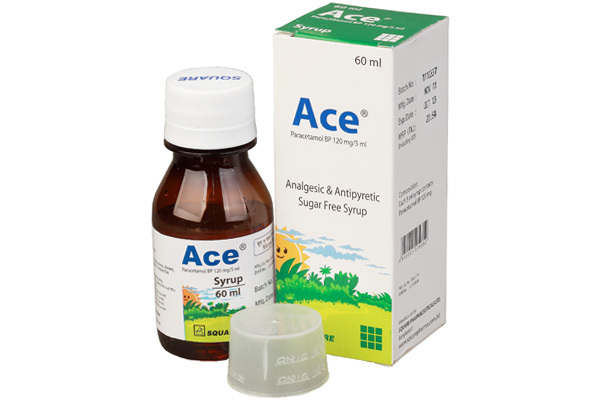 Ace® Syrup (60 ml): 60 ml syrup in sealed cap PET bottle (with measuring cup). 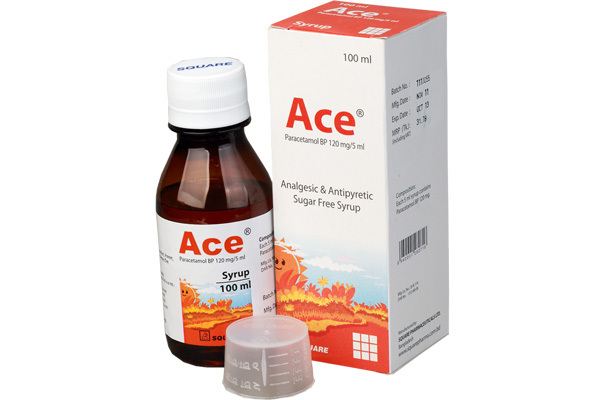 Ace® Syrup (100 ml): 100 ml syrup in sealed cap PET bottle (with measuring cup). 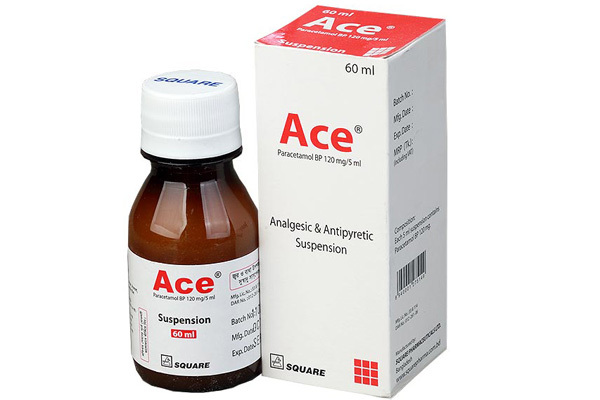 Ace® Suspension: 60 ml suspension in sealed cap PET bottle. 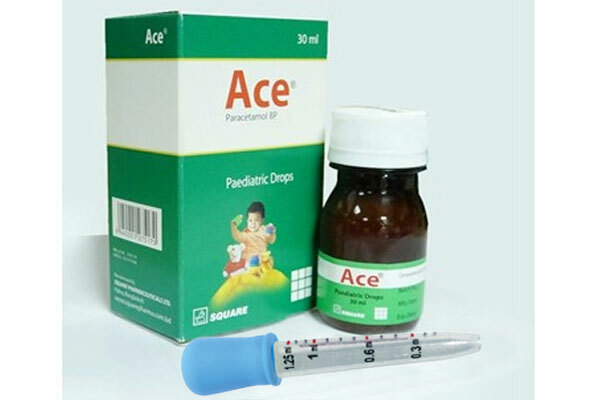 Ace® Paediatric drops (30 ml): 30 ml paediatric drop in sealed cap PET bottle (with dropper). 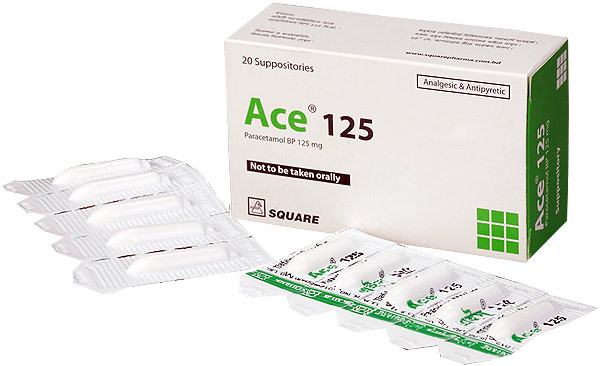 Ace® 125 Suppository: Each box contains 20 suppositories in blister pack. 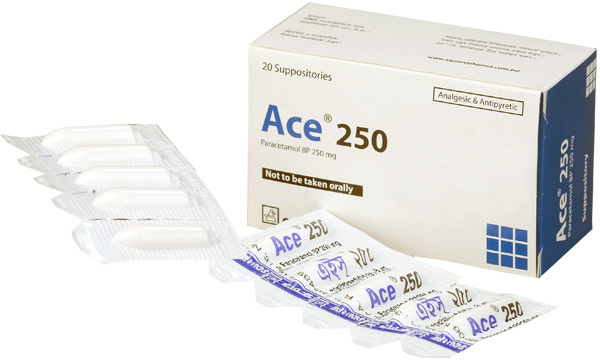 Ace® 250 Suppository: Each box contains 20 suppositories in blister pack. 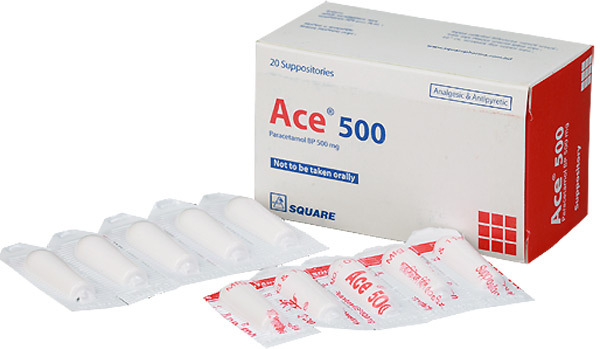 Ace® 500 Suppository: Each box contains 20 suppositories in blister pack.